N162 Old Judge & Gypsy Queen Charlie Mitchell. 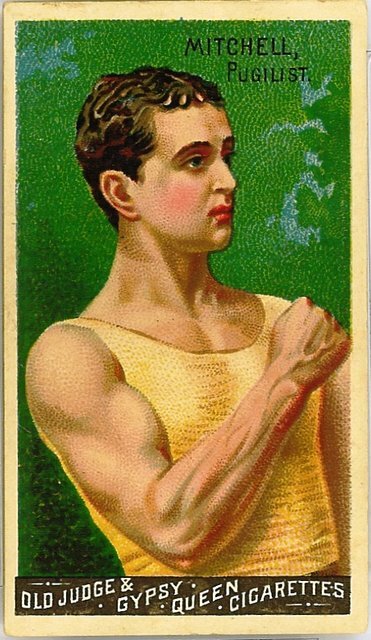 There are five boxers in this colorful and extremely popular multisport lithograph set from Goodwin: Jack Dempsey, John L. Sullivan, Jake Kilrain, Jem Smith and Charlie Mitchell. All five are IBHOF members. The card backs contain a checklist. N162’s are moderately difficult but not rare.